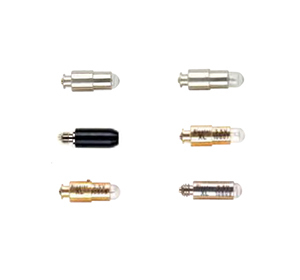 Quality German halogen lamps for Riester instruments. Comes in a pack of 6. 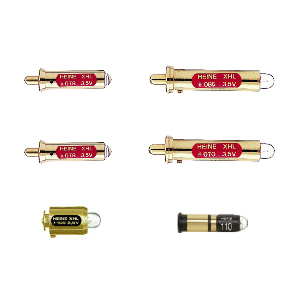 Quality German halogen lamps for Heine instruments. For the full extensive range of Heine globes and bulbs please refer to the brochure. 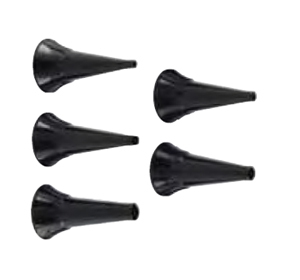 Reusable ear specula for use with the ri-scope® L1/L2 otoscopes. Made of black plastic. Sterilization at 134° C for 10 minutes in steam sterilizer or disinfection by conventional means possible. Delivered in a pack of 10. 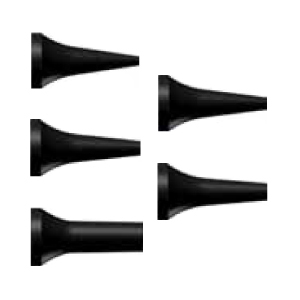 Single Use ear specula for use with the ri-scope® L1/L2 otoscopes. Made of blue plastic. An especially hygienic option for the prevention of cross-contamination. Delivered in a pack of 100. 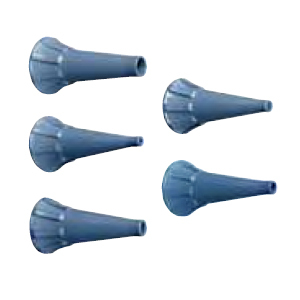 Reusable ear specula for use with the ri-scope® L3 otoscopes. Designed for use with the SpecEjec option. Made of black plastic. Sterilization at 134° C for 10 minutes in steam sterilizer or disinfection by conventional means possible. Delivered in a pack of 10. 9mm speculum is suitable for use as a nasal speculum. 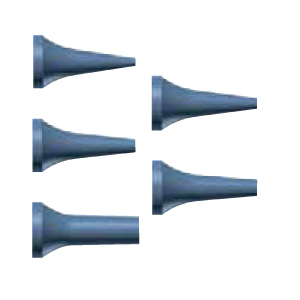 Single Use ear specula for use with the ri-scope® L3 otoscopes. Made of blue plastic. An especially hygienic option for the prevention of cross-contamination. Delivered in a pack of 100. 9mm speculum is suitable for use as a nasal speculum. 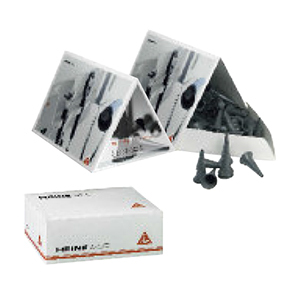 Made of high-density SANALON S with smooth external finish. Easy to clean. All common germicides can be used. Autoclavable at up to 134°C. Ergonomic shape. Painless atraumatic insertion. Positive locking design. Firm fit to the otoscope head. Disposable Speculums for single use only. Hygienic, no cross-infection. Original HEINE design. 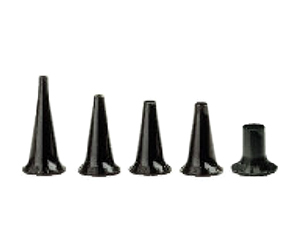 Firm fit to the otoscope head. Assured quality. No sharp edges.